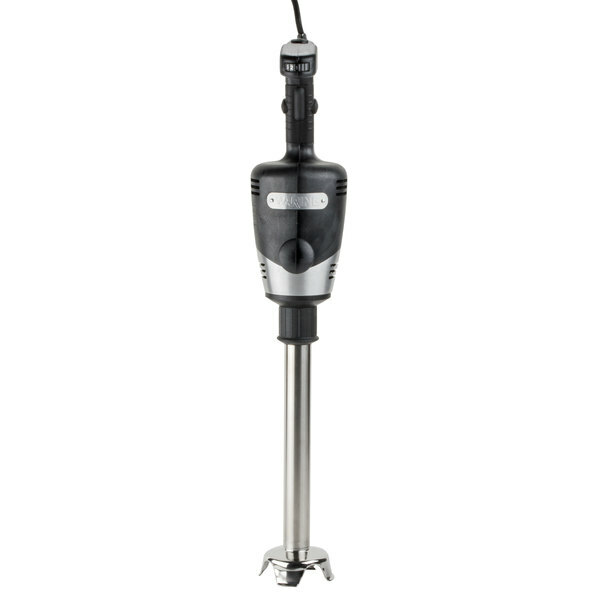 Perfect for driving through the thickest ingredients to produce sauces, batters, and soups in just minutes, this Waring WSB50 12'' Big Stik standard-duty immersion blender features a rubberized comfort grip and a second handle for safe and controlled operation! This reliable performance is made possible by a standard-duty 1 hp, 750W motor that powers up to 18,000 RPMs. The blade is 2 1/4" across and the stainless steel shaft is conveniently removable for easy cleaning and should be hand washed only. Thanks to its continuous feature, this blender can operate hands-free and non-stop. 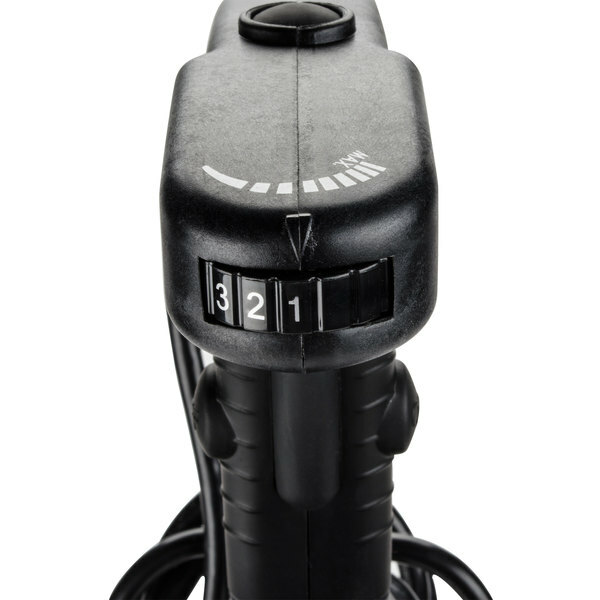 This versatile blender requires a 120V electrical connection. We purchased2 of this after burning out smaller one witch we use daily. This immersion blender easily handles purées making a smooth product with no lumps. Storage and cleaning are easy because the shaft is removable. This is an immersion blender that we use every daily in our restaurant. We use these daily and they have held up to years of use. 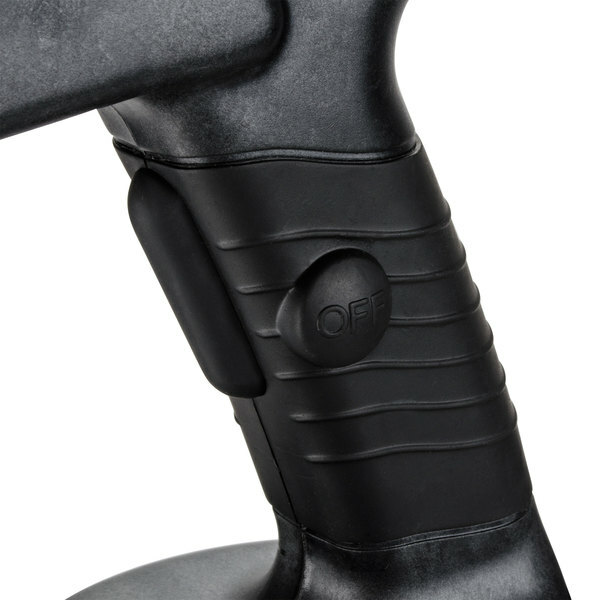 Very powerful with very good adjustable speed so that you have the control to get the consistency that you want. Why have I waited so long to upgrade my immersion blender? I’m a soap maker and recently started to scale up my batch sizes. This blender is perfect for blending larger batches of cold process soap. It’s a breeze to reach trace and no air bubbles! The immersion blender from Waring has been excellent addition to our kitchen. It's vary easy to use and very easy to clean! Love it so much! I tested this out at a friend's restaurant and was amazed. It is much more powerful than most non commercial immersion blenders. I did a whole pot of broccoli cheddar soup in 1 minute. 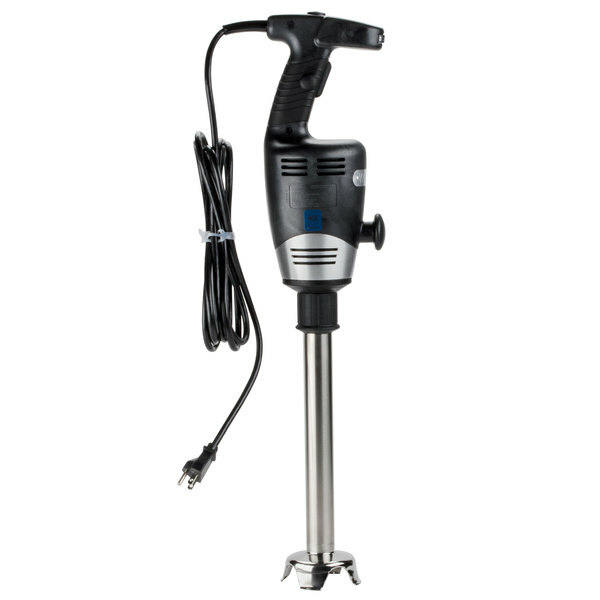 Very happy so far, high powered but manageable, only issue I've had is being a little to short for it, I'm 5"5" and it's a struggle to use with large pots but still workable, controls are easy to use and has good practical safety features. The one tool every kitchen needs! just large enough to do large stock pots of sauces and small enough to make 1-2 gallons to dressings. 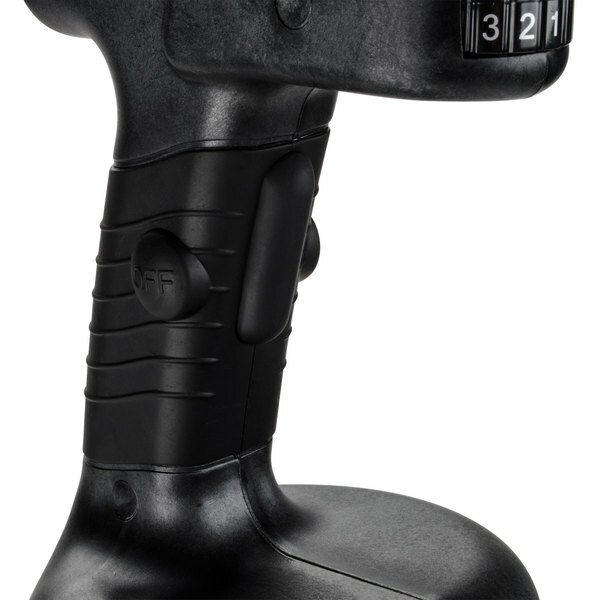 The interchangeable head makes it great to switch to different size applications! 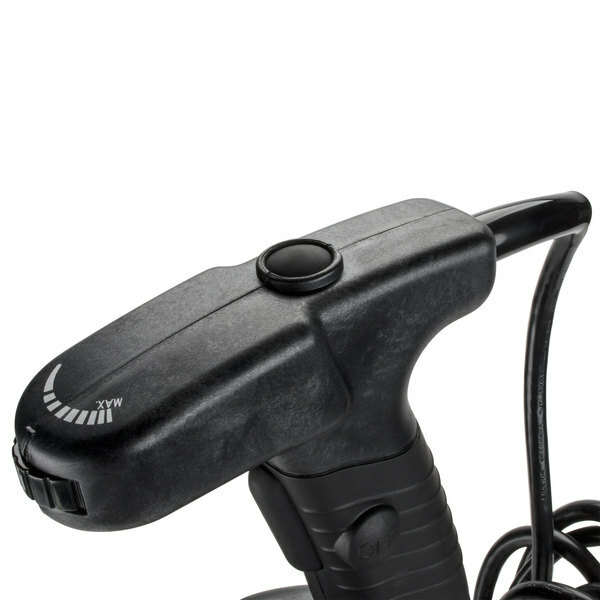 this was a great product, very durable, easy to use definitely will buy again. we used it for mixing our concentrated sauce. will buy a couple more here soon. Don't even bother ordering the medium duty blender for your commercial needs. The heavy duty is what you want! We've had the medium duty and the heavy duty is so much easier to clean, works tremendous and very strong! This immersion blender is awesome. I am very happy and would buy again and again. It blends anything in seconds and you can change the power to suit was you are blending. When they say heavy duty thing mean heavy duty we use these from gravies to using soup it will blend everything and must must have for every kitchen. We bought WSB50 to blend the frozen yogurt. Shipment arrived promptly. It is easy to use and does a great job, our product comes out very smooth. Bought this blender after mine was dropped. it is a great tool for making soups and sauces. The shorter stick is perfect for dressings and slammer batches. I love this thing so much. Almost every batch of ice cream base I make gets buzzed with this guy to make sure it's smooth and silky. It does a wonderful job and has tons of power. Amazing product!!!! I'm really happy with my purchase. I can get my beans done less than one minute, get my salsa for the chips less than 5 minutes. I really recomend it!!!!?? This is a MUST HAVE in every commercial kitchen. Very powerful mixer. Easy to use and clean. We make 30 lbs of Hummus in about 5 to 6 minutes. Just amazing !! !